The Geeks Hit Comic Con! 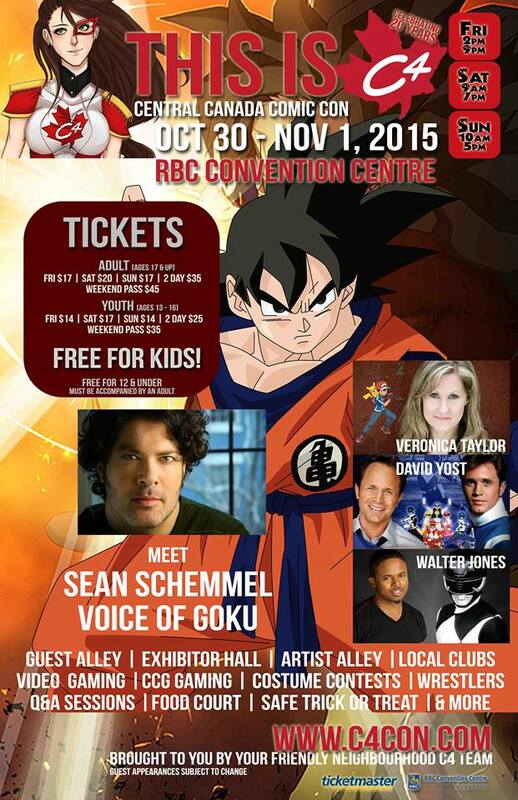 During the last weekend of October, the 28th to 30th, the Backyard Geeks are hitting up Central Canada Comic Con for our yearly geek outing. Jesslyn ‘Marly’ Buote, the youngest Geek, is going to be with Cre8ive Supplies demonstrating art supplies and selling their prints. Perry ‘Elder Geek’ Buote is going to be roaming around the convention along with Adam ‘Gonzo’ Buote. Perry should be able to reach fairly easily, along with Marly, but if you were thinking of speaking to the infamous Gonzo…Luck shan’t be in your side. Make sure to meet the Geeks! In just 11 days and 21 hour from now this http://www.c4winnipeg.com/ is going to happen Will you be there? Gates McFadden :Beverly Crusher of , Star Trek the Next Generation.